← Diamonds on other planets? 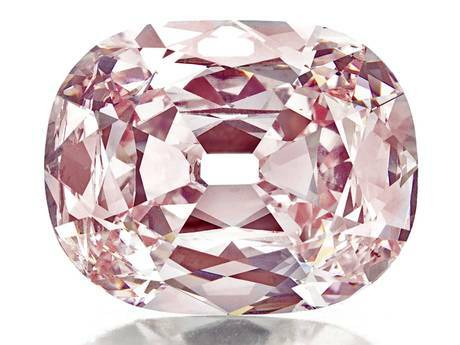 The extraordinary 34.65 carat Pink Princie Diamond sold for an amazing $39.3 million dollars at Christie’s Tuesday night, setting a world record. This makes it the most expensive jewel sold at a Christie’s auction. Pretty incredible! The final price, which comes out to more than $1.1 million per carat, also setting a world record for being the most valuable diamond to come from the Golconda Mine in South Central India. It was purchased by an anonymous collector by phone. 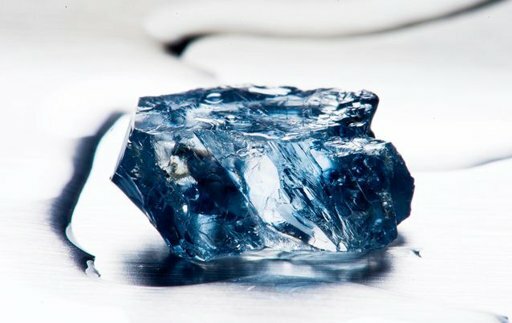 Also, a high quality 25.5 ct. blue diamond was recently recovered by Petra Diamonds at the Cullinan mine in South Africa. Blue diamonds are rare and this mine as produced some that have sold at huge prices, such as the 26.6 carat blue diamond rough stone, which was then produced into a flawless 7 carat polished stone, which sold for $9.49 million in 2009. Another flawless blue diamond was found in this mine which was 10.48 carats. It was later auctioned for $10.8 million and set a record for a blue diamond’s price per carat. This entry was posted in Diamonds, Jewelry News and tagged blue diamond, christies, cullinan mine, diamond, diamonds in south africa, princie, princie diamond. Bookmark the permalink.